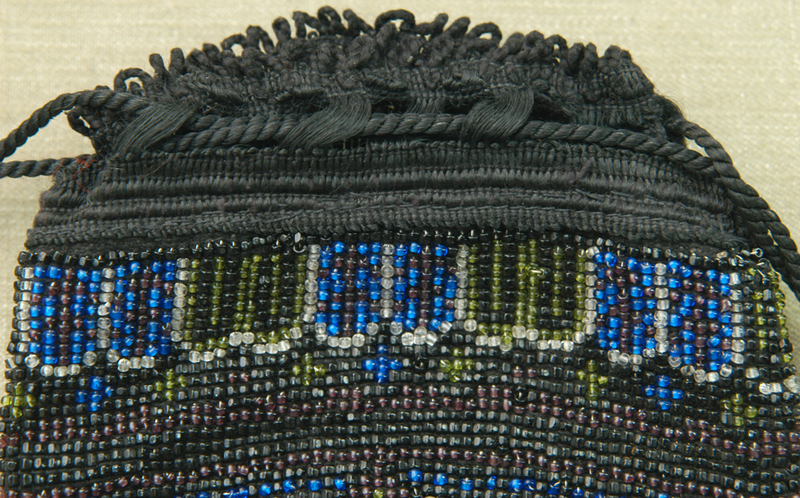 Beautiful late 19th to early 20th century microbeaded purse or reticule in blue, black, purple, clear and gold beads. 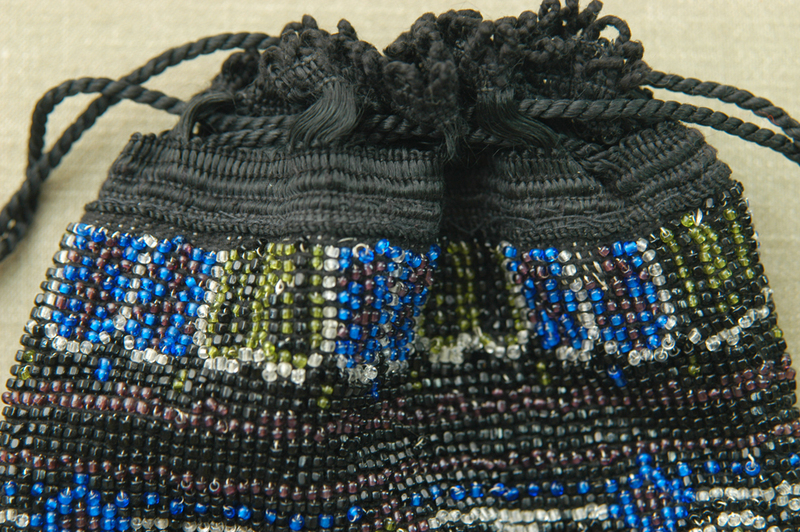 The tassel even includes a couple of strings of red beads. 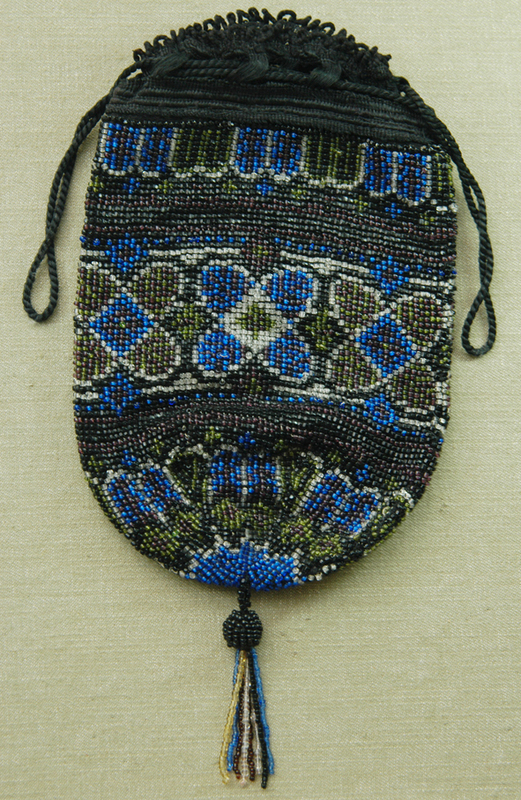 The purse is in exceptional condition. 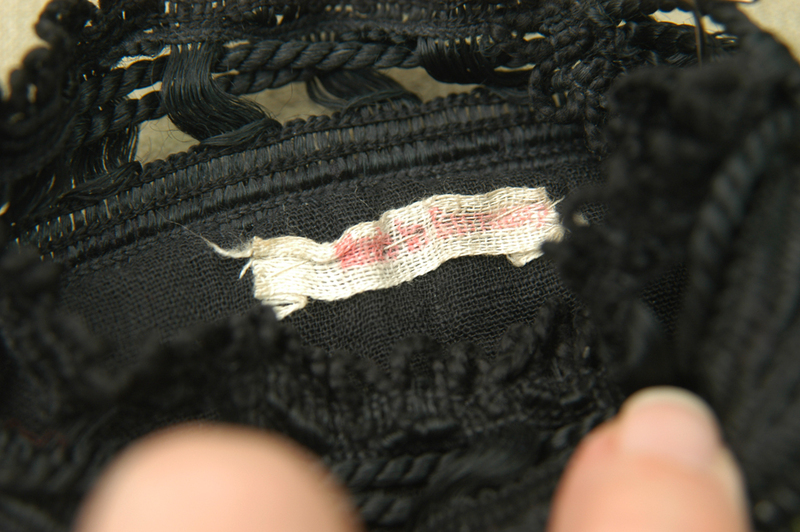 The black drawstring is threade through a tatted top. 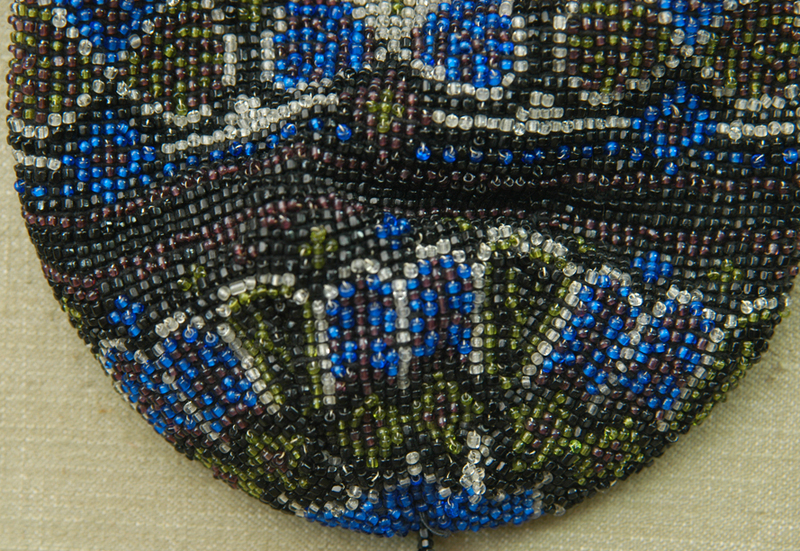 The tassel is topped by a beaded ball. 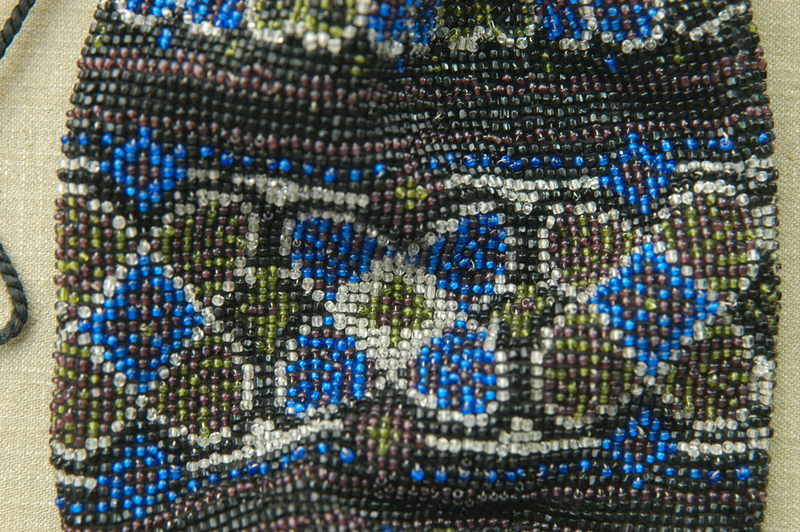 If you start at the top photos and look straight down, you will see details of the side shown at the top….in other words, all images on the left are the same side and all photos on the right are the other side. The lining is black linen and has an old ink stamped tag which is pretty illegible but I believe it says "Made in Germany". 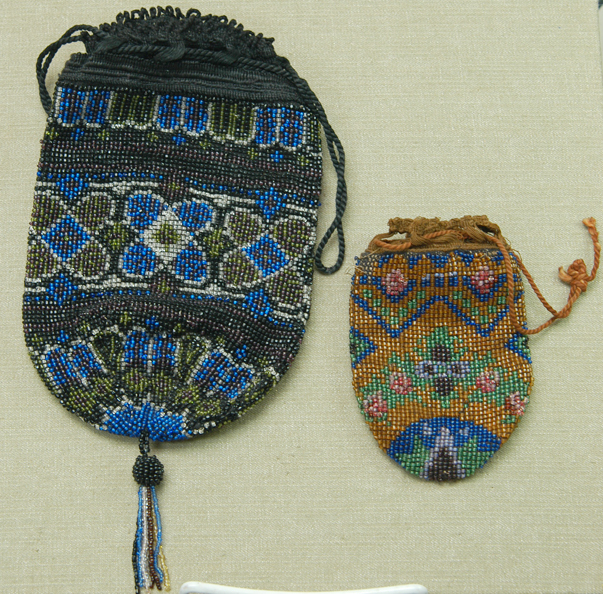 This dates the purse to 1890 or later. In 1890, America enacted the McKinley Tariff Act which required imported items to bear the name of the country of origin. Only the name of the country of origin was required at first, but in 1921, the Act was amended to require imported to include the words "Made In" as well as the country of origin. 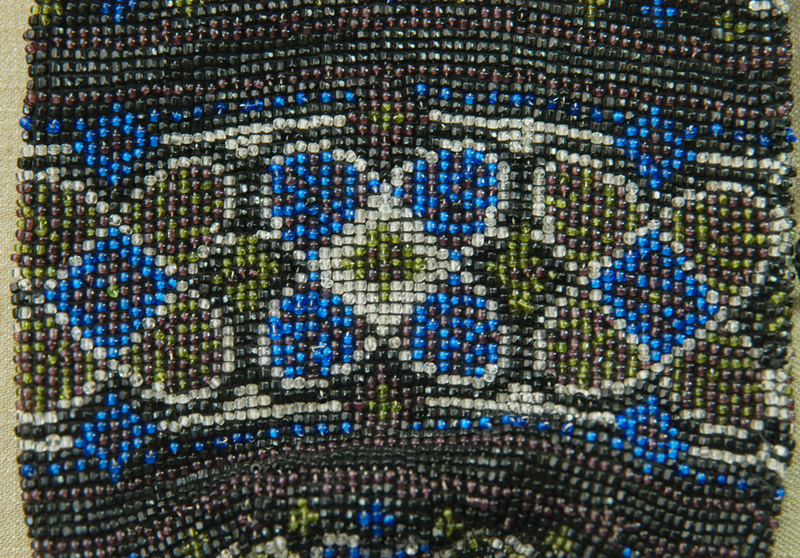 However, between 1890 and 1921, a number of items were marked with "Made In" and the country of origin. 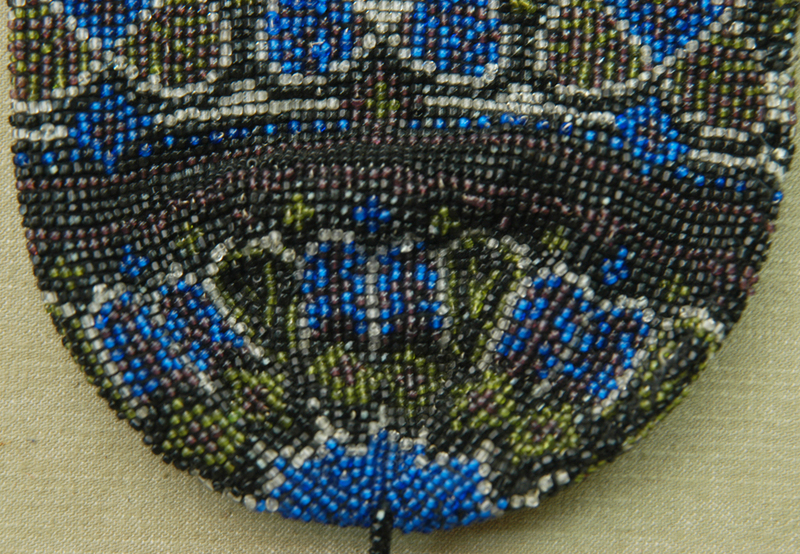 All this means, this purse is no earlier than 1890 and, looking at the style, not much later than 1921. It measures 8" tall not counting the tassel and 10 1/2" including the tassel. It measures 5 1/2" wide. 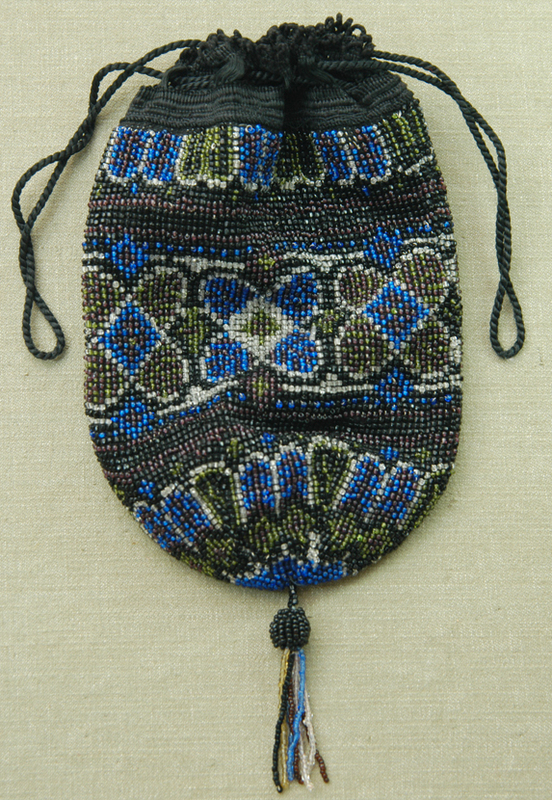 Really a lovely Victorian Era purse. The last photo shows both purses that I'm listing today. Please see the Antiques and Vintage Purses page for more information.